In a room in O’Connor Hall of Dickinson Community, Noah Lee shares a desk with his roommate Matthew Jacobsen, forced to head to a friend’s room or Glenn G. Bartle Library whenever he needs to get work done. 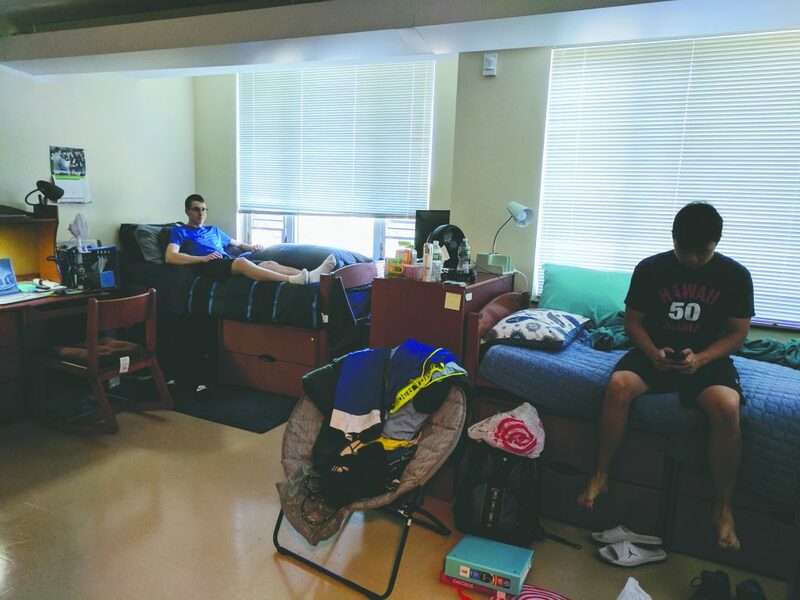 Lee, Jacobsen and William Eng, all of whom are undeclared freshmen, are living in super-occupied housing, in which a room designed for two people is housing three. Approximately 200 students were housed in forced triples at the beginning of the year, an increase from 160 last fall. According to Paola Mignone, assistant dean for financial operations at BU’s Office Residential Life, the increase may seem large, but it is not off-target from last year’s numbers. However, some students are questioning the increase, saying it’s an indicator of the need for additional housing. Tania Smith, a resident assistant (RA) in O’Connor Hall and a sophomore majoring in human development, said she didn’t understand how ResLife could feel comfortable accepting more students into on-campus housing without having places for them to live. Currently, Mountainview College and College-in-the-Woods have the highest number of students in super-occupied housing. According to Mignone, students who are in super-occupied housing are given first priority to be moved and ResLife tries to keep students within their buildings and communities. They also receive a discount on room and board for each day spent in super-occupied housing. Once a vacancy appears, students in a super-occupied housing situation are notified of the space, and are able to decide among themselves what to do. Some will decide that one roommate should move, and others may choose to stay together as a voluntary triple. Despite the challenges of super-occupied living, Mignone said many students choose to stay together rather than move to a new room. This is true for Lee, who said he chose to live in super-occupied housing after hearing good things about Dickinson Community. However, for many roommates, living together in a super-occupied room is not so simple. Mia Katz, an RA in Cayuga Hall of College-in-the-Woods, said that having more people living in a confined area often makes roommate conflicts more likely.